Powerful new battery technology debuted at this year’s Consumer Electronics Show (CES) in Vegas. This is no ordinary backpack, neither is this battery-powered backpack the first of its kind. In the past we have seen the word “smart” displayed on products such as watched and even water bottles, without any intelligence in sight. But Ampl has really stepped up their game this time. The black with green, accents Ampl SmartBackpack has a built in 5,000mAh battery and allows for swappable backup batteries at the same time. The built in 5,000mAh battery is enough to charge an iPhone 6 two and half times without a sweat. With 7 USB outlets, the SmartBackpack ensures that all of your gadgets stay charged. Starting at $299, the Ampl SmartBackpack is one hell of a cell phone charging device. Having recently been released, the iPhone 6 & 6 Plus are still waiting for the gadgets and accessories that the iPhone 5 is compatible with. Well, the wait might be over. Mophie unveiled their new battery packs for the iPhone 6 & 6 Plus. Although this is nothing new, Mophie is promising up to 120% extra juice per charge for the 6 and 60% for the 6 Plus. For those who require extra battery to get through the day, the wait is finally over (if you have an iPhone 6 or 6 Plus. The stylish, though bulky juice pack allows for users to use their iPhones for well over 2 days without needing a charge and the case prevents scratches and scuffs to your shiny new iPhone. The iPhone 6 model will cost $99.95 while the iPhone 6 Plus model will cost $119.95. 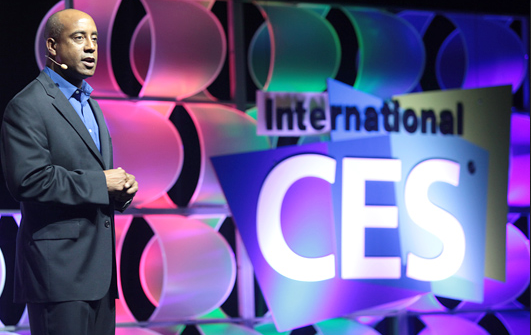 The biggest surprise at CES 2015 was not from a tech company at all; but from BMW, an automobile manufacturer who has been pushing boundaries in car tech with products such as the BMW i8, a hybrid sports car, and BMW i3, an electric luxury compact. The BMW i8, BMW’s hybrid sports car offering consists of a conventional engine and electric motors powered by a battery pack. Currently, the only way to charge the battery pack is to use the engine as a turbine to charge the batteries or to plug the car into a conventional outlet. But now, BMW has unveiled a new way to charge the hybrid i8 in a way only cell phones have been able to do so: wirelessly. At CES 2015, BMW unveiled its Inductive Wireless Charging technology. Instead of plugging the car into an outlet to charge the batteries, an i8 owner will now be able to drive onto an inductive wireless charging mat which will charge the batteries of the car. BMW claims that the wireless mat can charge the car at almost the same rate as a conventional outlet. This is an interesting feat from a company that has been pushing the envelope in hybrid technology. Regardless of the new battery technology exhibited at CES 2015, devices will still need to get charged up. The Veloxity team hopes to attend CES next year and provide a cell phone charging station lounge to help attendees stay supercharged on the trade show floor.